Principal Cast : Johnny Depp, Isla Fisher, Abigail Breslin, Ned Beatty, Alfred Molina, Bill Nighy, Harry Dean Stanton, Ray Winstone, Timothy Olyphant, Stephen Root, Maile Flanagan, Ian Abercrombie, Claudia Black, Charles Fleischer, Blake Clark. Synopsis: When he’s lost by his human owners, a lizard wanders into the desert town of Dirt and becomes the local sheriff. Western antics ensue. What we think : Gob-smackingly beautiful film to look at is actually a hilarious pastiche of every Western film cliche under the sun, and while you might expect to know what happens next, there’s a sense of playful freshness to what is, essentially, a cobbling together of every Clint Eastwood film ever made. This isn’t going to be a difficult review to write. Rango, the latest film from director Gore Verbinski, is a stunning animated piece of filmmaking that adults and older kids will absolutely love. With a fabulous voice cast, pitch perfect riffing on the classic Western genre, and a dynamite sense of adventure and fun, Rango will enchant anybody who loves movies, and entertain anybody who doesn’t. It’s got something for everyone. A lizard (voice of Johnny Depp) living in a fish-tank is accidentally ejected from his humans’ vehicle whilst they’re driving across the desert. Lost and abandoned, the lizard befriends a local armadillo, who advises him to trek off into the desert to the town of Dirt, which the lizard promptly does. There, he discovers a small desert town, populated by all manner of desert creatures, eking out an existence under the blazing sun. Dirt is a town on the edge, however, since the water supply is, or rather, has, dried up, causing plenty of townsfolk to leave. The lizard, taking on the name of Rango during a particularly hilarious encounter with some locals at the town bar, is soon promoted to sheriff due to his (fake) stores of grandeur. Rango, you see, has led a pretty lonely life inside the fish-tank, and now has an opportunity to make a name (up) for himself. His role as sheriff brings him into conflict with the town mayor (voice of Ned Beatty), a turtle who controls the water supply, and whom it appears has some crooked connection with some underhanded low-lifes. Soon, the battle for Dirt is on, as water becomes more precious than gold, and the townsfolk gather around Rango to succeed in finding it. Doin’ the Y, M, C, A! Rango isn’t a new story – not in the least. It’s a story by numbers, if you will, in that pilfers liberally from films as diverse as Once Upon A Time In The West, Pale Rider, The Good The Bad & The Ugly, A Fistful Of Dollars, and even The Quick & The Dead, among others (and one of those others includes Apocalypse Now, in a bravura bat/rodent chase through the canyons around Dirt). Keen eyed genre fans will find numerous nods of the hat to their favorite film style, as Verbinski takes a break from directing Pirates Of The Caribbean films to helm this charmer. Rango is a delight: the story is pretty simple, and the characters are fairly standardized, which means getting to know them isn’t exactly difficult. 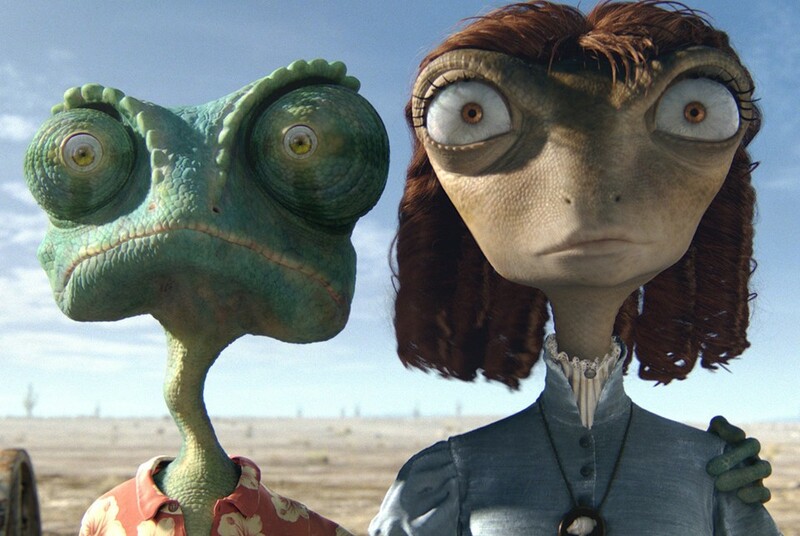 Where the film’s delicate balancing act comes in, though, is by making these characters feel fresh and new, a surprising facet of Rango which I was not prepared for. Rango’s the “everyman”, or, to put it in Western parlance, he’s a homage to Eastwood’s classic Man With No Name character, even if the lizard does take up the moniker Rango fairly early on in the piece. 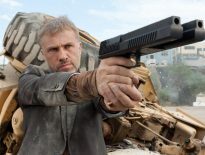 The script is written by John Logan, and anybody looking him up on Wikipedia will soon realize that he’s a prodigious talent: among his varied credits are films like Gladiator, The Last Samurai, Bats, and even Any Given Sunday for Oliver Stone. Logan taps into the pulse of the classic Western, ratchets up the cliches to the point where they’re funny, and lets loose with a giant cast of supporting talent to surround Rango as the central character. Isla Fisher, wife of Sascha Baron “Borat” Cohen, does a terrific job as the local loony woman Beans, essentially a pastiche of Once Upon A Time In The West’s Jill McBain (played in that film by Claudia Cardinale), although in this iteration blessed with a penchant for suddenly “freezing” solid for a few moments, as a kind of self preservation measure. It’s nonsensical, yet hilarious, at the same time. She’s Rango’s love interest in the film, although the characters’ chemistry isn’t as strong as it perhaps needed to be for that to work properly. Fisher is virtually unrecognizable in the role, and it was only during the end credits when I placed her voice. Ned Beatty reprises his “evil kindly villain” character portrayal (after Toy Story 3’s Lotso) with Tortoise John, the Mayor of Dirt, and the man responsible for the lack of water in the town. Beatty is solid here again, although his character is perhaps the least developed of them all. 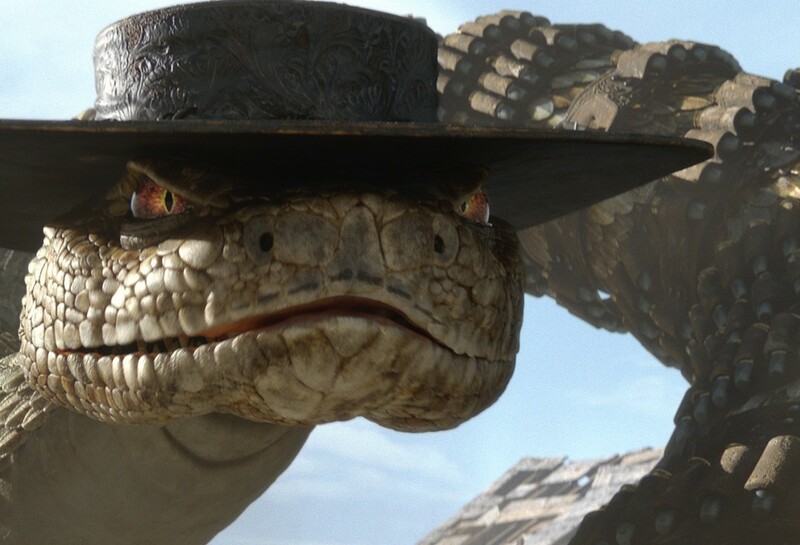 John’s henchman, a gila monster named Bad Bill, is voiced by Ray Winstone (Beowulf, Indiana Jones & The Kingdom Of The Crystal Skull) in what is, essentially, a cliche of every British-voiced thug ever seen on screen. 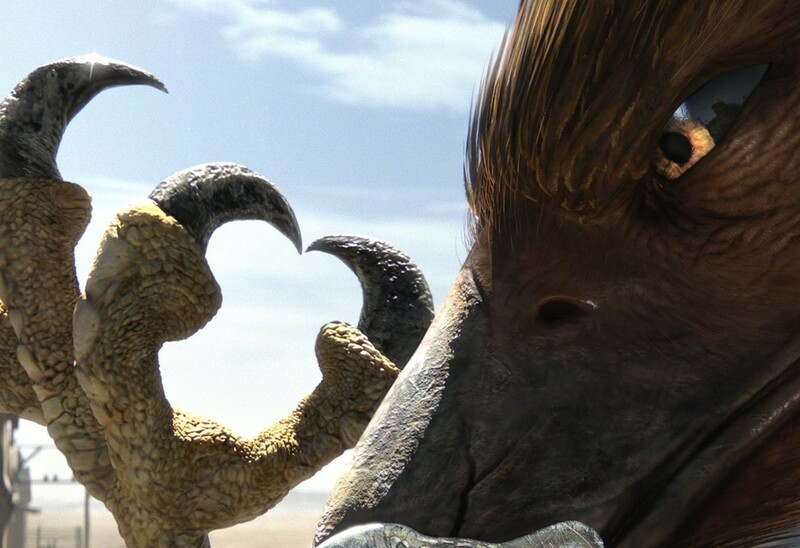 Other big-name stars include Abigail Breslin as a cutesy child mole, Priscilla, Harry Dean Stanton as Balthazar, an older mole (but no relation to Priscilla), Bill Nighy as Rattlesnake Jake, the films key power-villain in the final act, and Alfred Molina (again, unrecognizable) as the armadillo Rango befriends at the films opening. The entire cast inhabit their roles perfectly, with leading man Johnny Depp proving an inspired choice for Rango himself. Sittin’ around tellin’ manly stories… scaring the kiddies!! Depp, as Rango, was a strange choice for an animated film, in my opinion, although he’s more than redeemed himself in my eyes with his spot-on portrayal as the guileless, lonely, unmotivated lizard set to turn things around in the town of Dirt. The patter and banter Depp delivers is both hilarious and on point for the role, bringing a modern zing to Dirt’s genuine Western aesthetic. 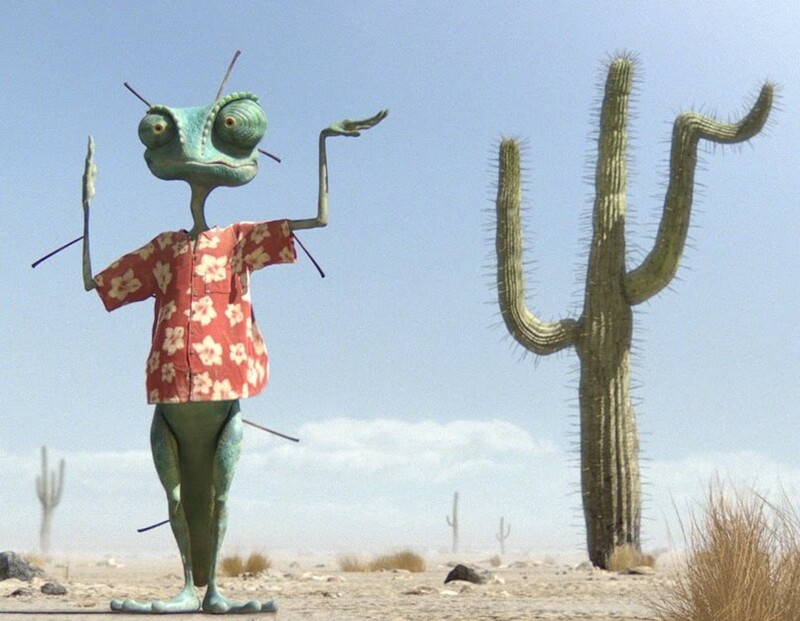 As a character, Rango isn’t the most powerful, nor the most intelligent, and as with most simple heroes, often happens to be in the right/wrong place at the right/wrong time. Things happen around Rango, whether he wants them to or not, and Verbinski isn’t one to pull back from irony or sarcasm in an animated feature. There’s a sly wit to proceedings, almost as if the characters can sense this is all to be played with fun. That’s not to say Rango is a kiddies film, not in the least. 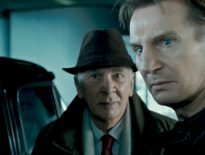 This isn’t a film for the younger tots, what with Bill Nighy’s truly frightening Rattlesnake Jake tearing it up late in the piece as the films major, majorly scary, villain. One of the characters, in a non-threatening kind of way, walks around the while film with an arrow through one eye, and I’d hate to have to explain how that’s possible to a four years old. No, I wouldn’t let the really little ones watch this, because it’s too intense, and the animation is too realistic. Ahh, the animation. There are entire scenes, nay, entire acts of this film which look so real that look real. I mean, they actually look like a real place. The visuals on this film make The Owls Of Ga’Hoole look antiquated by comparison, and y’all know how I raved about that. Every nuance of texture is vivid, detailed and amazing to witness, from the skin of Rango to the hair on the chin of the armadillos, Rango looks stunning. Breathtaking. Insert your own adjective here. Quite simply, if you didn’t know it was animated, you’d think it was real.That said, there is a problem with the film I can’t ignore. Rango’s motivation for helping the inhabitants of Dirt, indeed, for his journey of self-examination and mythical legend-building, is pretty weak. 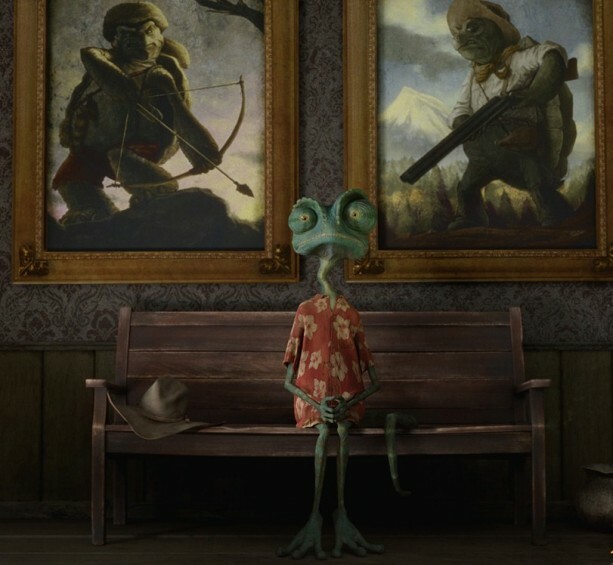 With his impetus reduced to some half-cocked idea about becoming somebody he’s not (or, not being somebody he is… something like that), Rango’s emotional journey isn’t as strong as it needed to be – especially towards the film’s narrative low-point, where his friends discover Rango’s secret, and he’s forced to confront his true self and feelings about what he’s been doing. It’s almost a cliche within a cliche – perhaps the filmmakers felt that the idea of Rango was more important than the character of Rango, and thus didn’t give him enough depth as a person lizard, reducing our attachment to his emotional plight to a mere blip by comparison to his physical one. I’d say this is perhaps the only part of the entire film I found lacking, and it’s enough to reduce my overall score by a whole star. I loved Rango, although my wife, the gorgeous Lisa T, didn’t appreciate it that much since she’s not a fan of Westerns. I’d hesitate to say that Rango’s a film you can only watch if you enjoy or appreciate the Western genre – the film has a lot more going for it than just that, but if you don’t like Cowboy and Indian movies, then there’s a fair chance you probably won’t get a lot of the subtleties in Rango. As I mentioned, it’s got plenty to offer the casual viewer, and older kids will find the animation quite dazzling (as will adults), while the characters and plethora of action will also ensure viewers are kept in their seats. Rango, as an entertainment, is essential viewing. Yeah, this film is pretty damn awesome. Definitely one of my favourites this year. Thanks for the linkage! As always, you're welcome, Vik! Brilliant review Rodney. Although I haven't seen it I know I'm going to like this. I like Verbinski as a director, and I love Depp's work (whether it's live action or animated). The images you've chosen really highlight the quality of the animation. Cheers, Dan! If you only see it for one reason, the animation is superb. This is Depp and Verbinski at their craziest and that's why I'am at least hoping that The Lone Ranger finally gets made. Nice review my man. Thanks Dan O – I too am hoping against hope that a Lone Ranger film is made before I die…. how awesome would that be! Thanks for linking. It's one of my favorites of the year. Haha, wow .. Tom and I rarely agree anymore. Ha ha, you're welcome Sam. It really was a great film! Thank you for that great review. I just signed up with Blockbuster Movie Pass from my TV provider/employer DISH Network and I am using it to get caught up on all the movies I couldn’t see in theaters. Going to the movies all the time just gets too expensive. I don’t like buying DVDs or Blu-rays because I rarely re watch a movie I like and never re watch a movie I don’t like. I have too many gathering dust as it is. So from now on I rent all my movies and video games. Only if they are stellar will I then go on to buy them. With the movie pass I can stream or rent all the movies, TV shows, blu-rays and video games as I can cram in a month. That’s a lot of entertainment for just $10 per month. Rango is at the top of my list. It looked like a pretty funny movie when it was in theaters. I don’t have a problem with an animated film borrowing from old live action movies. I kind of like watching for references or Easter eggs. Rangos hat and Hawaiian shirt immediately reminds me of a personal favorite role for Depp, Fear and Loathing in Las Vegas. I can’t help but see Hunter S. Thompson in lizard form. I hope the character is different, as funny as Lizard Thompson would be. Remember the Lizard Tail Depp awoke with in Fear and Loathing? Awesome! The stills you posted look great; I can’t wait to load this in the Blu-ray player to get a look for my self. Thanks for popping in Adam! I didn't spot the Fear and Loathing references in Rango at the time I watched it, but now that you mention it, yes, they can clearly be seen. I agree that going to the cinemas all the time to watch films is getting out of our family budget range, so we opt for rentals, streaming, or the occasional BluRay purchase! Well it does no good to slap you on the back for another stellar review of a surprisingly good time film – surprising because of the genuinely well done story, character and mood of a non-Pixar animate feature film and surprising that there is actually a lot of criticism of the film and a split in critics to audience reactions at the aggregators. RT has a sizable gap between the two and MC has it as generally favorable which perplexes me. What do studios outside of Emeryville, California have to do to get the high marks of Pixar? You got it Rod, as entertainment, essential viewing. Go escape for a little while and feel appreciated for the investment. 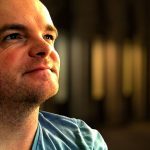 Solid review – ok, one back slap but my hands getting tired! Always raising the bar Rodney..look for my Rango forthcoming. I'm always up for a good back-slapping, Rory! Like you, I don't understand the mixed reactions to this film – I think some people must have thought because it wasn't Pixar it wasn't as good, but I think it's a terrific and highly underrated piece of film-making. The animation on this film alone is worth the price of admission! !